The Michigan Department of Corrections 2015 budget, which totals roughly $2 billion, includes $4.4 million for sovaldi, a drug with a high success rate in treating the disease without the debilitating side effects associated with standard treatments. "It would be better if we could treat everybody, but if you have the opportunity to try to control the disease, you should take it,"said Emory Law Professor Price, who specializes in public health. "You don't want to create this inferno inside a prison when the population is going to be moving out into the public at some point." The tendency to make judgments about the rights and wrongs of the current Israel-Hamas conflict on the basis of which side has had more civilians killed is hard to resist. There's a lot of talk about "disproportionate" killing or attacks. So I welcome a new measured, careful discussion by Emory Law School professor Laurie Blank, describing what proportionality means in the law of targeting (which is a major part of the law of armed conflict). The conflict in Gaza is replete with asymmetries: the number of civilian casualties on either side, the amount of destruction, the types of weapons used and technological capabilities. But for both legal and practical reasons, conflating asymmetry and proportionality is both inaccurate and harmful to the law of war's core purposes. Asymmetrical does not mean disproportionate, nor does it mean criminal. They are simply wholly different concepts: one a factual game of numbers and one a comprehensive legal analysis. In April, the U.S. Supreme Court handed down a decision in a big campaign finance case, McCutcheon v. Federal Election Commission. The justices voted 5-4 to overturn certain limits on how much money Americans can give to candidates and committees. There was concern that the decision would open the floodgates, allowing more Americans to give more money. But so far, it seems the decision has only affected a small group. The state's new laws on juvenile justice took effect Jan. 1, 2014. Focus has shifted to use the state's secure facilities on higher-risk, serious offenders and reducing recidivism by strengthening evidence-based community supervision and programs. Six months into implementation, the reforms seem to be living up to their promise. Georgia's Department of Juvenile Justice reports a reduction in their detention census, which state leaders attribute to the reforms. Professor Polly Price argues that we need rethink the way we leave detection and treatment of tuberculosis to thousands of small local health authorities across the country. The problem cannot be handled by local government authorities when it is brought in by foreign travelers and spread across the country. Tuberculosis is increasingly prevalent in America's prisons, which are also unequal to the task of fighting the disease. LGBT legal rights should not be contingent on biology or immutability. And, contrary to Texas Gov. Rick Perry's insinuation, sexual orientation is not like a disease. It is like eye color or left-handedness -- a natural and healthy variation within the population. Holly LaBerge, head of Georgia's ethics commission, said in a memo that the governor's chief counsel and chief of staff threatened her and her agency, if she did not resolve a 2012 ethics complaint involving the governor's 2010 campaign. The memo became an issue in a later wrongful termination lawsuit. Emory Law Adjunct Professor Matthew McCoyd discussed the rules governing such documents with WABE's Denis O'Hayer. On ABC's "This Week" on Sunday, U.S. Attorney General Eric Holder, who happens to be black, suggested that opposition to him and President Barack Obama in part is due to racial animus. For that, he has been vilified. If anything, this points out the need for white America to hear more voices from people of color. But if you look at Holder's actual words, there really isn't anything surprising, or especially bold, in what he said. International law has quite a lot to say about the latest violence that has flared up between Israel and Hamas. So do the media. Unfortunately, they rarely match, leading to unfortunate -- and sometimes egregious -- misrepresentations. In an age when both real and perceived violations of international law have a substantial effect on the legitimacy of state action, getting it wrong is way more than just bad journalism. Responsibility for tuberculosis control is divided among 2,684 state, local and tribal health departments. That infrastructure is politically and legally fragmented, underfunded and disproportionately strained in many poor communities. Frank Alexander has spent the last two decades helping cities and states set up land banks. He says American laws and culture tolerate abandonment, but for cities it means lost tax revenue and a drag on property values. "What we are saying when we create land banks is that vacant and abandoned properties are a form of litter. And it's simply time to change the laws to stop littering." Since 1993, the Religious Freedom Restoration Act requires that federal laws accommodate individuals' religious beliefs. Hobby Lobby is the first to pass the test. In the Supreme Court ruling of Burwell v. Hobby on Monday, the fact that it is being called narrow has little to do with the fact that it applies only to closely held corporations. Faith-based prisons continue to be promoted as promising avenues for reform, chiefly on the grounds that they improve prison discipline and reduce recidivism. Unfortunately ¿ even if we ignore the constitutional issues ¿ most of the empirical studies of the effectiveness of faith-based prisons have serious methodological problems and, to the extent they find any positive effect of faith-based prisons, can¿t be taken at face value. The Atlanta City Council's vote last month to encourage and support more urban agriculture is set to make the city a national leader in local food systems. 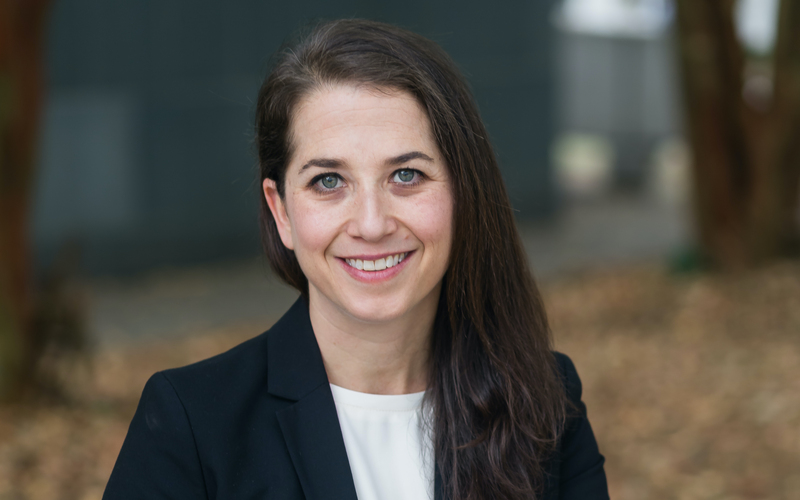 "Atlanta should be proud of itself," says Mindy Goldstein, director of the Turner Environmental Law Clinic. "The city's urban agriculture ordinance is one of the most streamlined and permissive in the country. This ordinance will support our residents, our farmers, and our small businesses."